visit Geneva by Private Jet. The municipality (ville de Genève) has a population (as of December 2014) of 197,376, and the canton (which is essentially the city and its inner-ring suburbs) has 482,545 residents. In 2011, the compact agglomération franco-valdo-genevoise (Greater Geneva or Grand Genève) had 915,000 inhabitants in both – Switzerland and France (< 30mins distance). Within Swiss territory, the commuter area named “Métropole lémanique” contains a population of 1.25 million. This area is essentially spread east from Geneva towards the Riviera area (Vevey, Montreux) and north-east towards Yverdon-les-Bains, in the neighbouring canton of Vaud (< 60mins distance). Geneva was ranked as the world’s ninth most important financial centre for competitiveness by the Global Financial Centres Index, ahead of Frankfurt, and third in Europe behind London and Zürich. A 2009 survey by Mercer found that Geneva has the third-highest quality of life of any city in the world (behind Vienna and Zürich for expatriates; it is narrowly outranked by Zürich). The city has been referred to as the world’s most compact metropolis and the “Peace Capital”. In 2009 and 2011, Geneva was ranked as, respectively, the fourth and fifth most expensive city in the world. 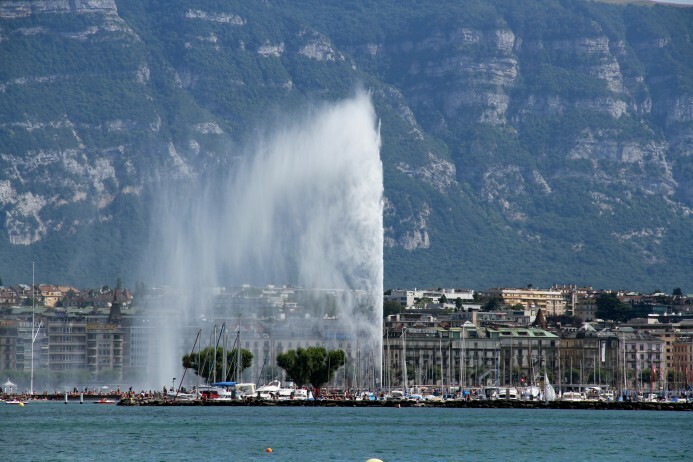 Geneva observes Jeûne genevois on the first Thursday following the first Sunday in September. By local tradition, this commemorates the date the news of the St. Bartholomew’s Day massacre of Huguenots reached Geneva. Geneva celebrates L’Escalade on the weekend nearest 12 December celebrating the defeat of the surprise attack by troops sent by Charles Emmanuel I, Duke of Savoy during the night of 11–12 December 1602. Besides festive traditions that includes chocolate cauldrons filled with vegetable-shaped marzipan treats and the Escalade procession on horseback in seventeenth century armour, Geneva has been organizing ‘Course de l’Escalade’, which means ‘Climbing Race’. This race takes place in Geneva’s Old Town, and has been very popular amongst racers across all ages. Non-competitive racers have fun by dressing up in fancy costumes, while walking in the race. 2015 marks the 38th edition of this race. Since 1818, a particular chestnut tree has been used as the official “herald of the spring” in Geneva. The sautier (secretary of the Parliament of the Canton of Geneva) observes the tree and notes the day of arrival of the first bud. While this event has no practical effect, the sautier issues a formal press release and the local newspaper will usually mention the news. As this is one of the world’s oldest records of a plant’s reaction to climatic conditions, researchers have been interested to note that the first bud appears earlier and earlier in the year. During the first century, many dates were in March or April. In recent years, it has usually been in mid-February and sometimes even earlier. In 2002, the first bud appeared unusually early, on 7 February and then again on 29 December of the same year. The following year, which was one of the hottest years recorded in Europe, became a year with no bud. In 2008, the first bud also appeared very early, on 19 February. Arranging a private jet charter to and from Geneva (LSGG / GVA) is straightforward. Geneva Cointrin airport lies approximately 4 minutes from the city centre and takes around 20 minutes by car, subject to traffic. A private jet charter from London to Geneva will take approximately 1 hour 30 minutes in a 6 seat Cessna Citation CJ2 jet, and 1 hour 25 minutes in a 8 seat Cessna Citation XLS jet. Arranging a private jet charter or helicopter transfer with Freedom Air to arrive in style to Geneva is simple. The Freedom Air team can be reached on +44 (0) 1275 548001 to book your next trip.